For 10 years before my husband Mark and I left Chicago, I was working 24/7. As the owner of a wholesale women’s clothing business, my career left me little time to actually enjoy life. So, Mark and I made the massive decision to leave the U.S. 18 months ago. We did it because we needed to slow down and enjoy life now. We sold it all; furniture, cars, clothes, businesses and stuffed the rest into two suitcases. Then we moved halfway across the world, to a country that we had only visited for a total of 17 days. Our destination: Penang, Malaysia. Yes, I know it sounds crazy, but we had taken our time and done the research on moving through International Living since 2003, so it wasn’t a rash decision. Flash forward 18 months and we’re still figuring out our new life plan—but enjoying the journey of discovery massively. Why Penang? Well, after considering moving to so many other places we realized that for us, Penang had it all: a tropical island lifestyle, rich culture, great food, amazingly kind, English speaking people, and extraordinary natural beauty. We live in a 2,200-square-foot, three-bedroom, four-bathroom condo overlooking the Andaman Sea for only $750. An extra $50 pays for all of our utilities, including cable TV. We love to cook. Now that we have the time, I’m getting very adventurous, so we spend about $80 a week on groceries. We certainly go out for the local food, too, since it’s been touted as the best in Asia! When we go out we can splurge and eat a whole steamed fish with rice and vegetables for $12 or just get a local noodle dish for $2. All in all, $2,000 to $2,500 affords us a very comfortable lifestyle. The weather is always hot and sunny so our days are full of adventure and exploration. With such an inexpensive lifestyle, we actually have money to travel and explore the world around us. There’s no time to be bored. Back home I always dreamed of being a travel writer, but that was an impossible feat while running my business 80 plus hours a week. Now I am a paid travel writer! 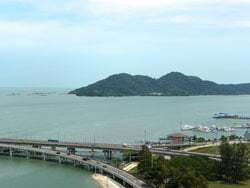 Penang, Malaysia has it all: a tropical island lifestyle, rich culture, great food, amazingly kind, English speaking people, and extraordinary natural beauty. I’ve also been an extra for a very popular new British TV show called Indian Summers that will be airing on PBS in the next few months. Back home, I would never have had the time to dedicate to that unique experience, but now I have a memory that I’ll never forget. Many people said the transition would be difficult and that we would come back to Chicago once the allure wore off. Well, they were wrong. We love living here and have no intentions of going home any time soon. We’ve really made some great friends who, unlike in Chicago, we actually have time to see. 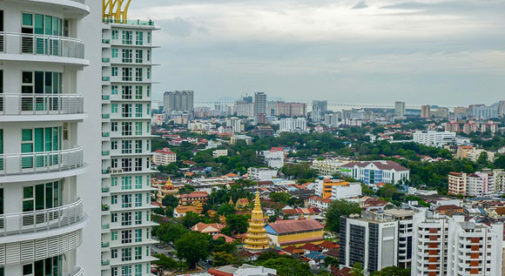 Editor’s note: Penang, Malaysia, is just one of the top destinations you can explore at the 2015 Ultimate Retire Overseas Conference this June. All of our other top retirement destinations will be represented, too: Ecuador, Panama, France, Costa Rica, Belize, Italy, and more. You’ll hear from and speak to in-the-know expats from all of those places…as well as the experts who can help you make it a reality.